Hey guys! 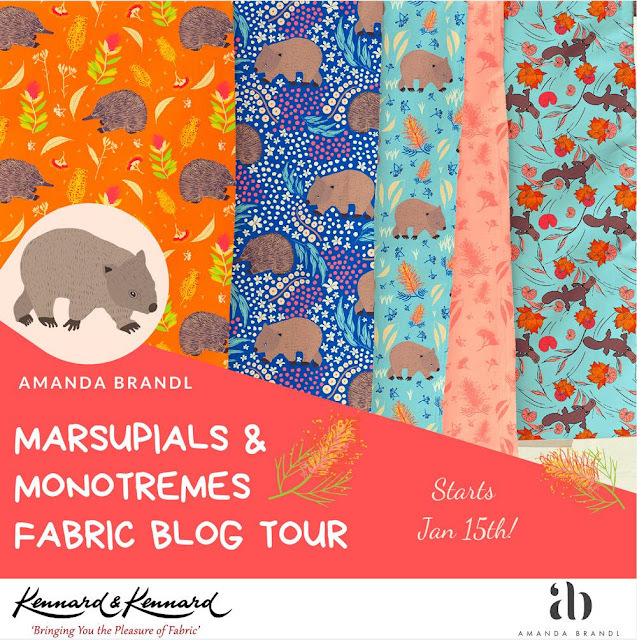 Welcome to my stop on the Marsupials and Monotremes Fabric Blog Tour. This playful Australian themed fabric is the third line designed by Amanda Brandl for Kennard and Kennard Fabrics. Once again Amanda's perfectly captured the vivid colours of our Australian landscape, and the cute little animals we share it with. 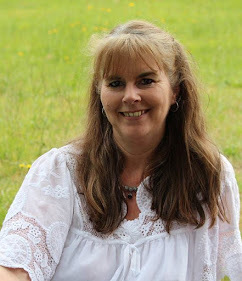 Amanda has combined the shyest of our native animals with some of our stunning native flora. Amongst the gum leaves, waratahs and grevilleas you'll find some delightful wombats, cheeky echidnas and some very playful platypuses. The range includes the deep earthy tones of Australia, but she's also thrown in a few pink's and aqua's which makes this range so fun and versatile. 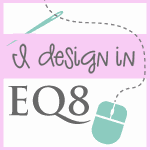 The range includes 20 prints and the hardest decision was choosing which of the fabrics to use in my project. 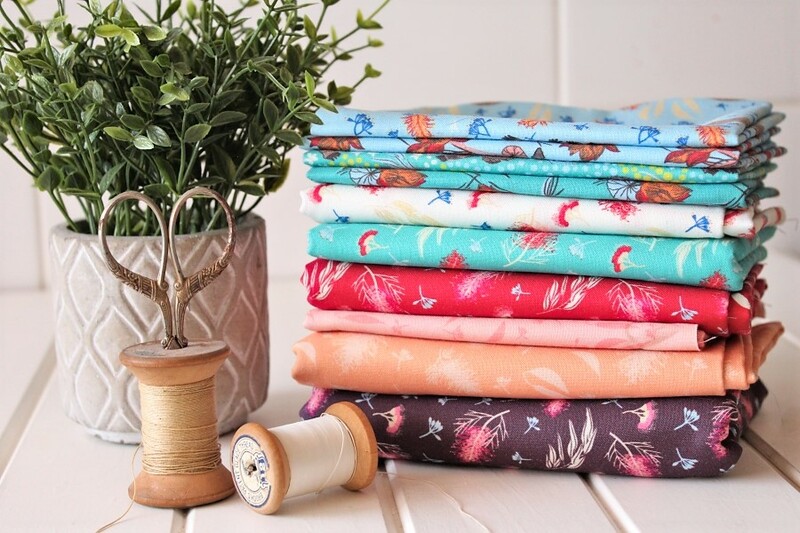 I knew I definitely wanted to include the cute animal prints, and I combined them with a mix of the grevillea fabrics - the deep purple, red, aqua, apricot, pink and cream. One of the first things you notice about Kennard and Kennard fabrics is the vibrancy of the colours and the intricacy of the designs. The fabric is super soft to touch and the quality is just amazing. 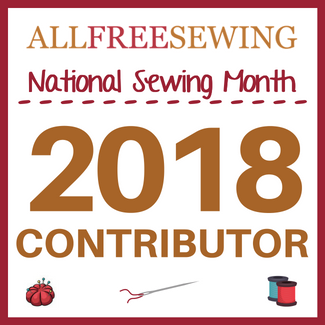 Its a dream to cut and sew with, not only for quilting but also for clothing items like the ones we've seen on the tour so far. 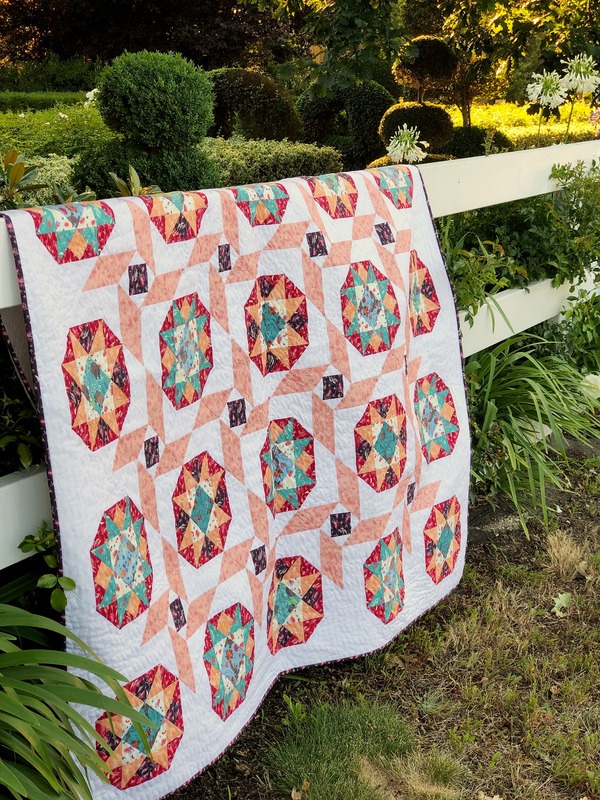 When Amanda announced this fabric blog tour, I'd been drafting a new two block wonder quilt pattern and I knew these fabrics would perfectly bring my idea to life - it was meant to be! 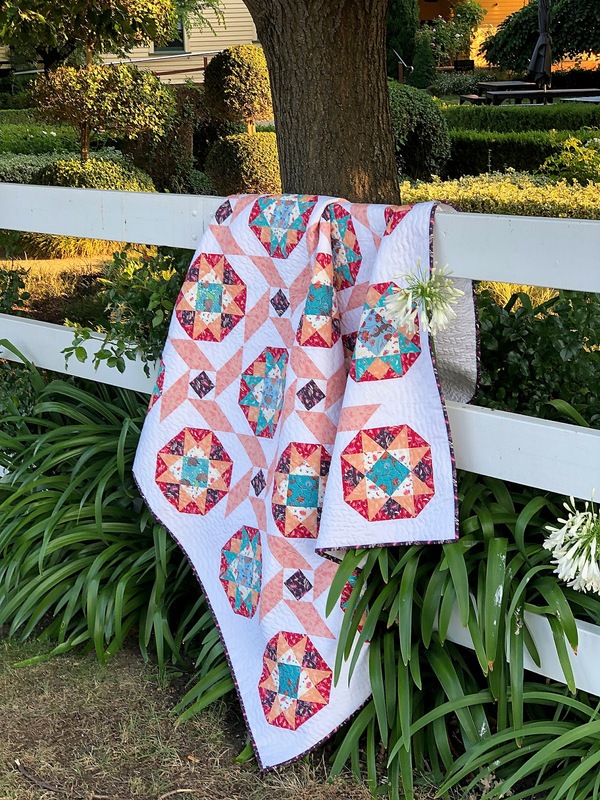 I love supporting Australian designers and fabric companies, and I wanted this quilt to feel Australian as well. Waltzing Matilda has been referred to as our "unofficial national anthem", so I decided to name my quilt in honour of this legendary bush ballad. Isn't she stunning? 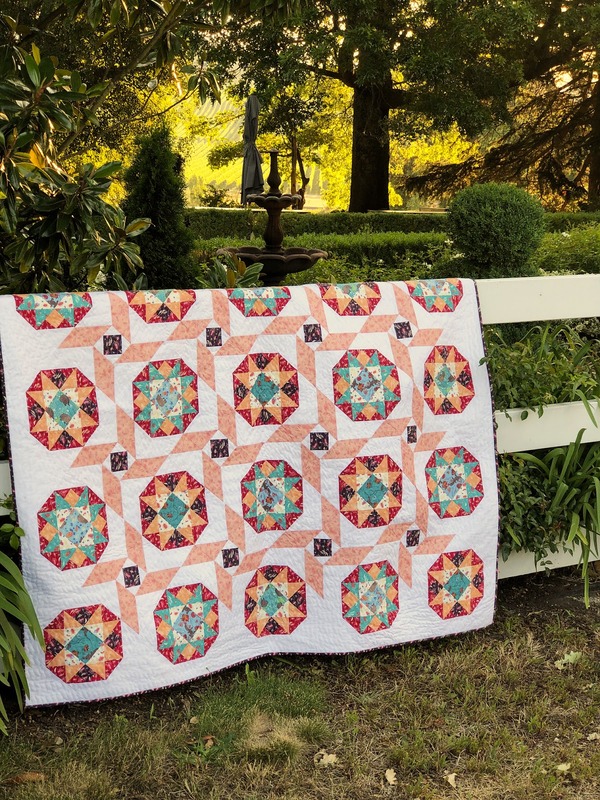 Matilda is a simple combination of two traditionally pieced blocks - the Eccentric Star block and the Ornate Star block. The layout is set on point making the blocks float and dance around the quilt. 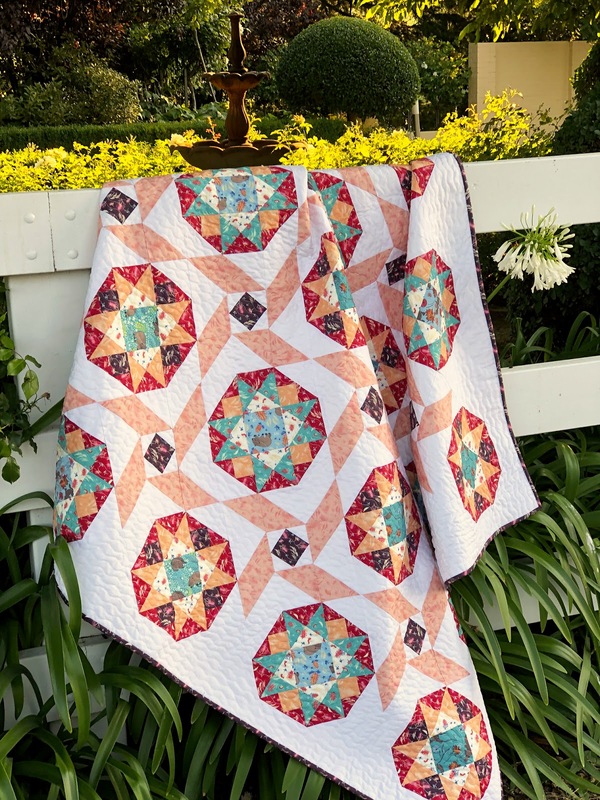 The cute little wombats, echidna's and platypuses are showcased in the centre of the Ornate Star blocks, and they add a little whimsy and playfulness to this design. I surrounded them with the red, aqua, apricot and cream grevillea prints to really make them pop. The Eccentric Star blocks create a flowy ribbon effect, tying all the blocks together delicately and softly. I chose the pink and deep purple grevillea fabrics for these blocks, and they dance subtly in the background allowing the Ornate Blocks to shine. 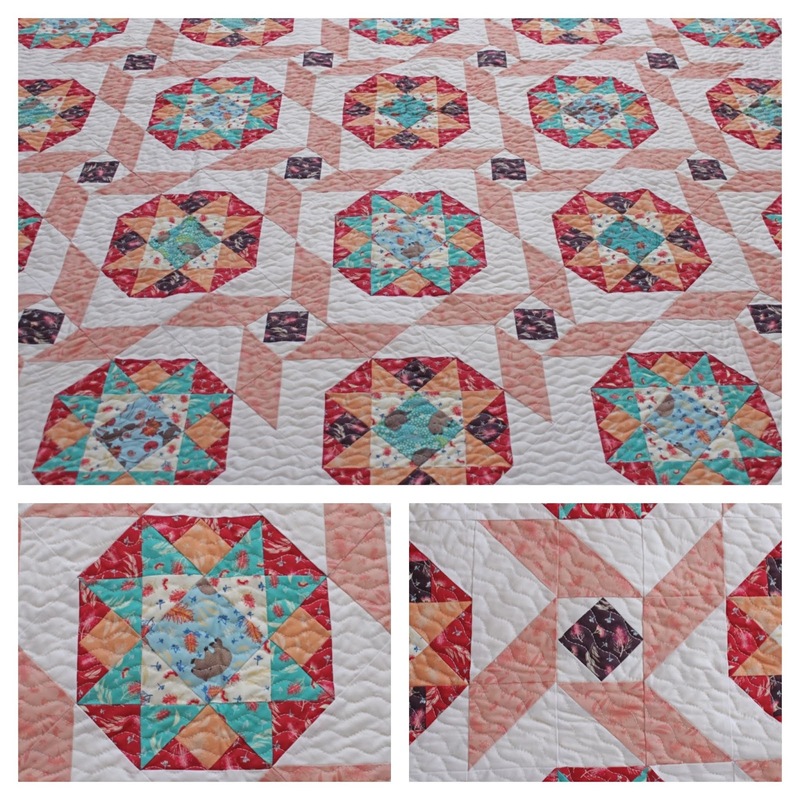 The blocks are a generous sized 9" finished, so no fiddly pieces to cut and sew, and the quilt finishes a little under 64" square - you will always get an odd size with on point layouts. 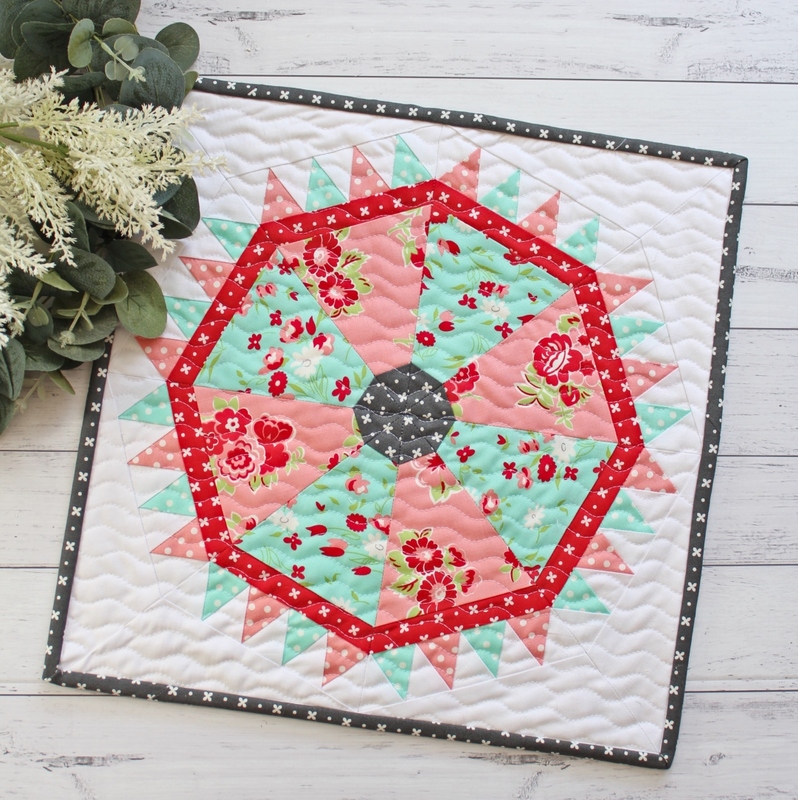 I quilted my Matilda quilt with some simple serpentine quilting which suits this design and fabric so well. I used the deep purple grevillea fabric to bind my quilt and it ties all the fabrics together, giving it a dramatic frame. 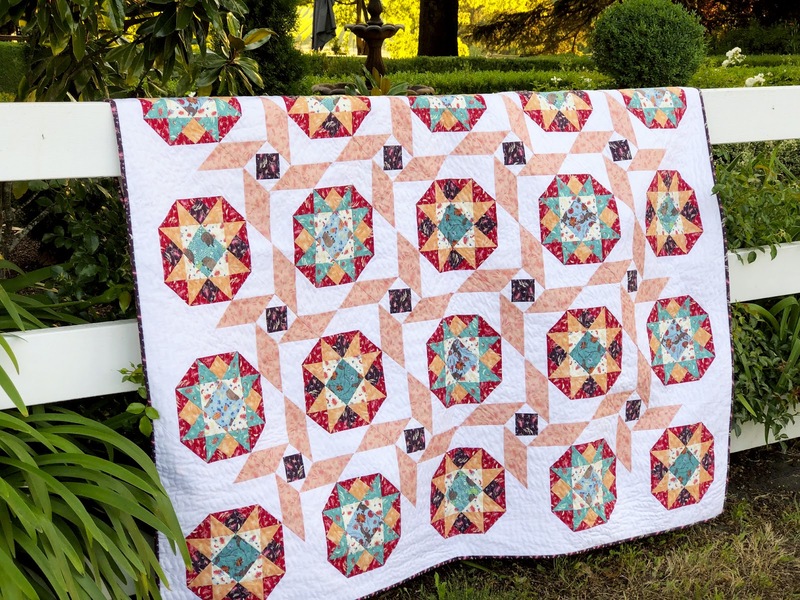 The PDF pattern comes complete with step by step instructions and diagrams for easy construction, and I've included a few tips along the way to make sewing this quilt quick and fun. 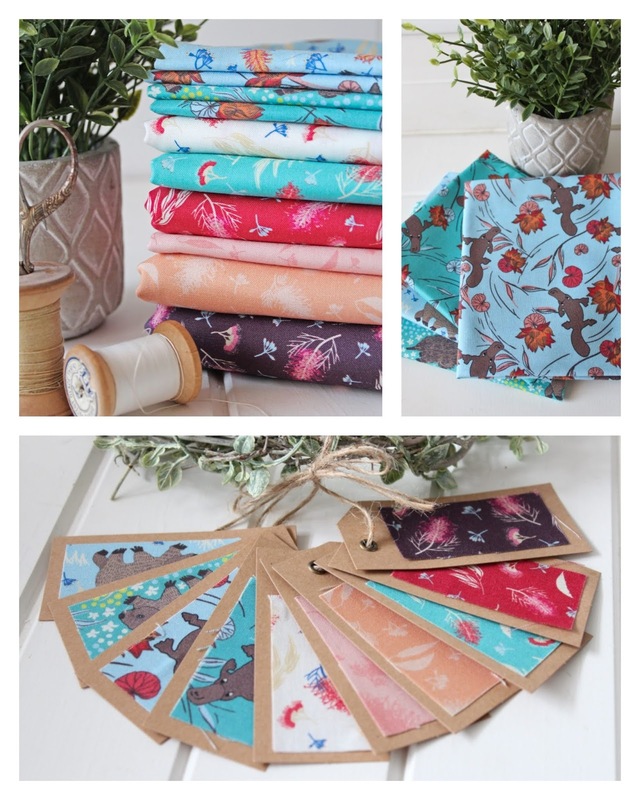 I've also included fabric swatches of the fabrics I used from Amanda's collection with their product names/letters so you can source your own quickly and easily from any of the stockists. As always, there's also a colouring sheet included so you can plan your chosen colours or fabrics prior to sewing. If you would like to make your own Matilda quilt, PDF patterns are now available for $8.95 (AU) in my Big Cartel shop HERE. 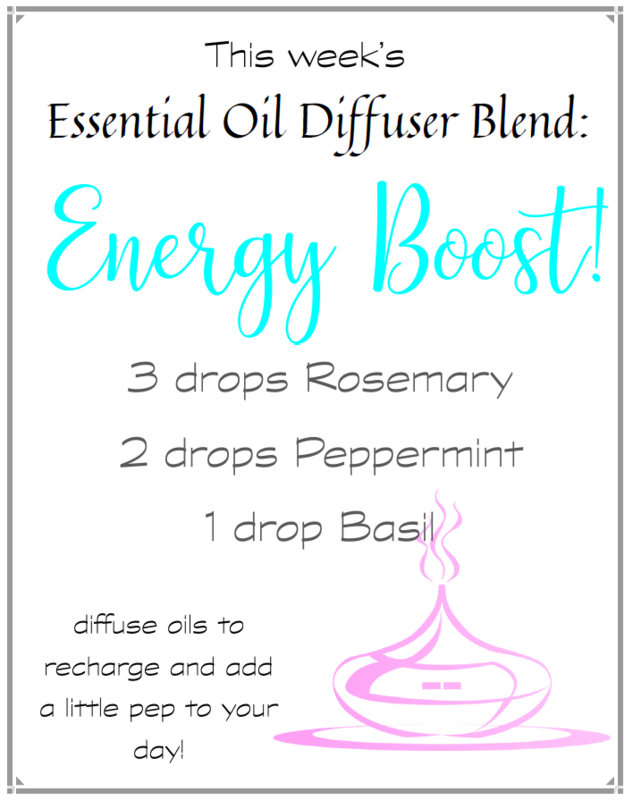 Or if you prefer an instant download they are also available in my Etsy shop HERE. There are so many gorgeous projects being shared so to see the full blog tour schedule, and to find a stockist of this gorgeous Australian fabric make sure you visit Kennard and Kennard Fabrics or Amanda Brandl's website for all the details. 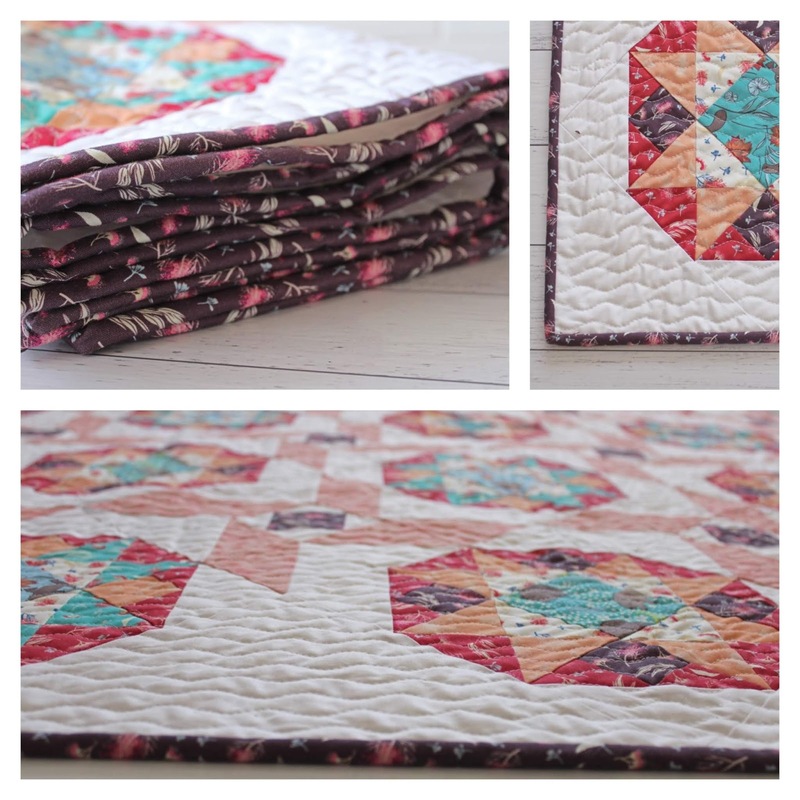 Rose, your quilt is so beautiful. I love everything about it.